My triplet boys started carrying a backpack last school year, to carry extra clothes and their swim stuff (once a week) to daycare. For that first year, they really didn’t care whose backpack they carried. Now they definitely want to make sure they have theirs. Most of the time they refuse to help each other! The backpacks are all navy, a third birthday gift from their teachers from two years ago. It can be very hard to figure out whose backpack I have picked up and to give them to each boy to carry out of the house or into school. I do have their names on the front, but you have to pick them up, turn them around, look closely… It adds too much time to our morning routine. I was desperate to find a solution. I know it sounds like a silly problem, but it was driving me crazy! I thought about nametags/luggage tags, but I remember our older son’s falling off quickly and breaking. Plus, to find luggage tags in three different colors was proving difficult, after searching several stores and online. I even looked online for patches or reflective tape. Again not enough choices of colors. Then it hit me. I had a perfect cheap solution. 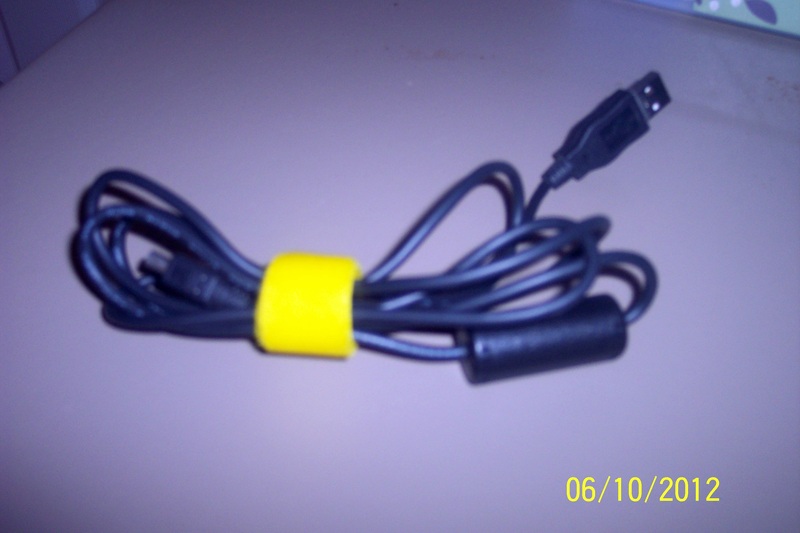 I had bought Veclro cord organizers/wrappers from OfficeMax for just $3 a few weeks back. There were 10 in a pack (red, yellow, blue, purple, and black). 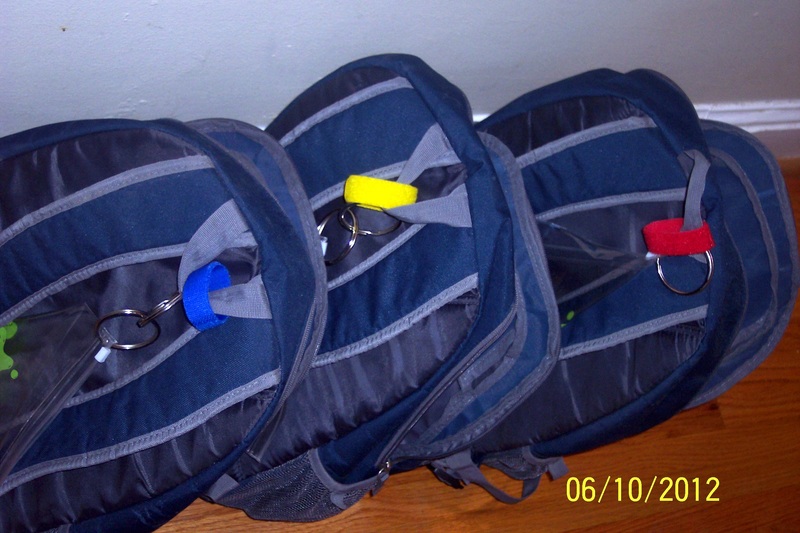 I attached one to each of the top handles of the boys’ backpacks and VOILA! The colors go along with how we marked their bottles, sippy cups, etc. when they were babies and toddlers. Except instead of one of the boys getting white, he got yellow. Now it is so much easier for me and the boys to know whose bag is whose! This trick will also work in the future if I am unable to find four different colored backpacks! Thanks! Share any great solutions you have come up with, too!